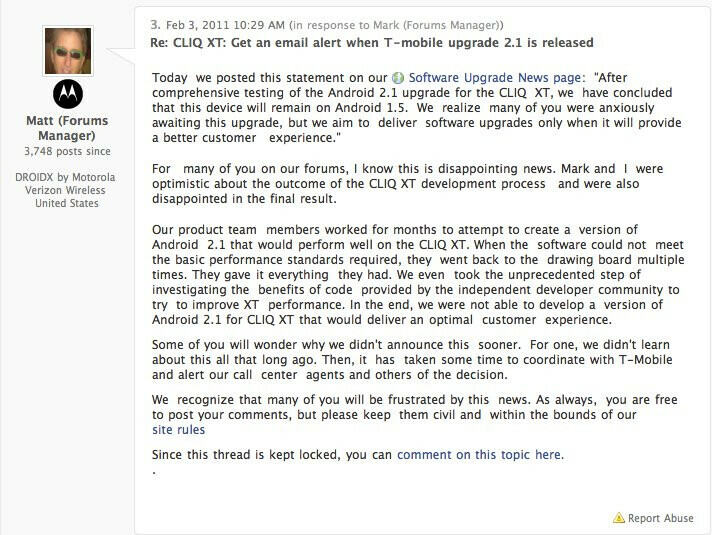 Confirming the inevitable and harsh reality for Motorola CLIQ XT owners all around, it’s pretty much a close book on the potential Android 2.1 update for the handset. 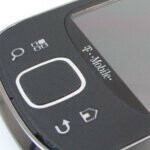 Last month, we reported that the handset’s future with Android 2.1 looked all too bleak after Motorola mentioned that the device was going to stay stuck with Android 1.5. Although there was still a shimmer of hope, a recent Motorola forum post once again confirms the sad truth that the handset will indeed remain on Android 1.5; forever. Needless to say that it’s unfortunate for handset owners – even more now than ever seeing that the handset was once on course to getting Android 2.1. Come to think of it more, the smartphone was already behind the curve when it was finally released almost a year ago, but this latest revelation will undoubtedly sting owners to the core. Yep. Makes me glad that I dumped the CLIQ XT for a used Vibrant. Sadly I gave my CLIQ XT to my mother to use so now shes stuck with an OS that is losing more and more Applications everyday due to the apps receiving the updates and no longer being compatible with 1.5. Needless to say, after being lied to by Motorola for almost 10 months I will never buy another Motorola product. I went from the CLIQ XT to the Vibrant which also had a very delayed upgrade, after watching Samsung screw users over on the Behold 2 I wasn't very surprised. A few weeks before the actual 2.2 update I ditched the Vibrant and now I have a Mytouch 4G. I think I'm going to stay an HTC owner for life. There might be a possibility of me trying out LG products if they keep up with their updates throughout the future but Samsung and Motorola have ruined it for me.